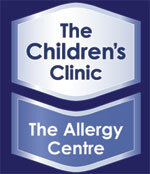 The Children’s Clinic has moved location to 79 Nayland Street, Sumner. Our paediatric services remain unchanged. We do not have full-time reception staff, so our solution has been to ask you to make your own appointments on-line using the “Appointments” tab on this website. We do not have the staff to answer the phone or clear phone messages. However, we look forward to seeing you face-to-face in the clinic. Our paediatric services remain unchanged. Also we are asking you to prepay for your appointment. This is because of our limited reception staff, and the need for you to confirm your appointment slot. If you have queries, and you cannot find the answer on the website, then please send us an email. Please note that it might take a couple of days for you to get a reply. Of course, for any thing urgent you should see your General Practitioner (GP).